After 20 months in development, Arcooda today has announced the release of Arcooda Pinball Arcade (APA), the home pinball cabinet version of the #1 video pinball software “The Pinball Arcade”. APA has been developed in partnership with FarSight Studios and allows home owners to experience full sized pinball game play of Williams, Bally, Alvin G, and Gottlieb pinball titles. 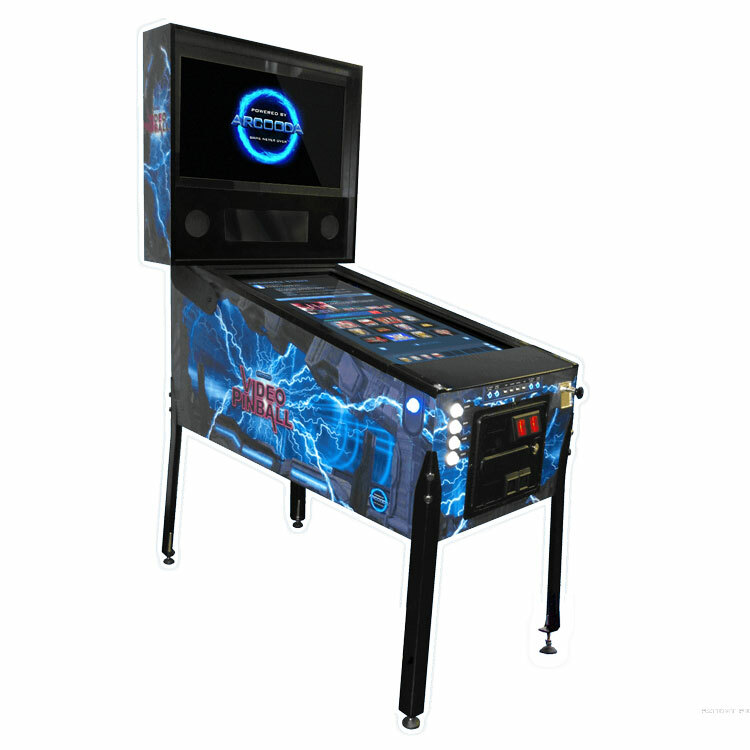 Features now include backglass display, dot matrix display, graphical improvements to playfields/shading and game play, new playfield angles including 3D options, and deluxe options which include touchscreen gameplay, and real pinball parts support including flipper coils, shaker motors and cabinet LED lighting. “Working with FarSight, we have tried to create a real pinball feel to video pinball – during game play on Arcooda Video Pinball cabinets, coils, lights, and shaker motors will perform the same way as playing a real pinball machine”. Steve Josifovski, CEO of Arcooda, said. 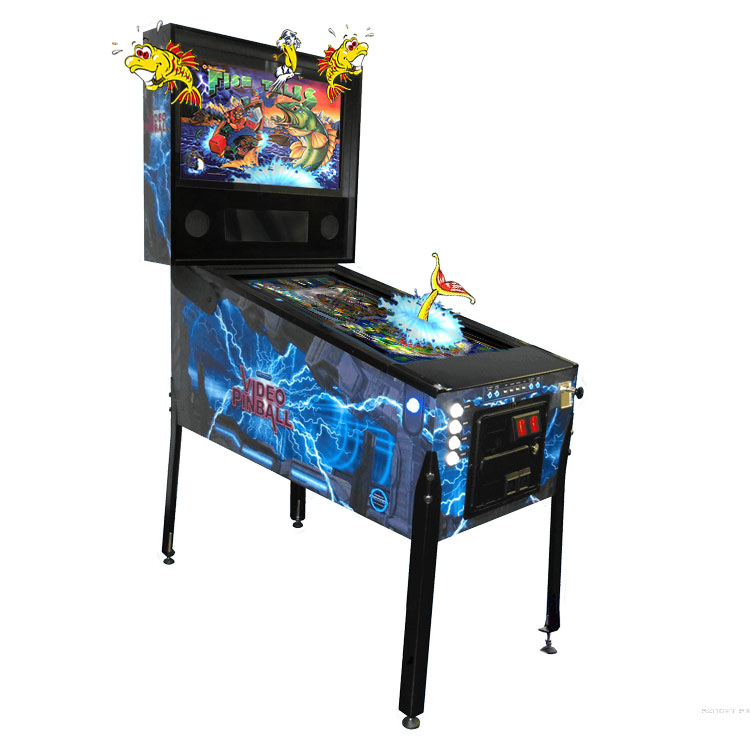 Steam PC owners of the existing The Pinball Arcade home software can also benefit with Cabinet Support, allowing new options including backglass & DMD support, full cabinet camera angles and improved game play features. Tales of the Arabian Nights, Black Hole, Theatre of Magic, Bride of PinBot, Medieval Madness, Cirqus Voltaire, FunHouse, Gorgar, Monster Bash, Black Knight, Creature from the Black Lagoon, Taxi, Elvira and the Party Monsters, No Good Gofers, Scared Stiff, Big Shot, Twilight Zone, Star Trek: The Next Generation, Attack from Mars, Genie, Dr. Dude and His Excellent Ray, Firepower, Cactus Canyon, Central Park, Space Shuttle, White Water, Centaur, PINBOT, Champion Pub, Whirlwind, Goin’ Nuts, Terminator 2: Judgment Day, Tee’d Off, Haunted House, Victory, Class of 1812, Cue Ball Wizard, El Dorado: City Of Gold, Fish Tales, Black Rose, Black Knight 2000, WHO Dunnit, High Speed, Junk Yard, Lights…Camera…Action!, Diner, Bram Stoker’s Dracula, Party Zone, The, Earthshaker! Addams Family (Gold), Cyclone, JackBot, Xenon, Red & Ted’s Road Show, Safe Cracker, Getaway: High Speed II, F-14 Tomcat, No Fear: Dangerous Sports, Judge Dredd, Fireball, El Dorado, Hurricane, Rescue 911, TX-Sector, Indianapolis 500, Frank Thomas’ Big Hurt, Eight Ball Deluxe, Doctor Who, Bone Busters Inc., Jacks Open, Centigrade 37, Doctor Who: Master of Time, Gladiators, Al’s Garage Band Goes On a World Tour, Cactus Jack’s, Swords of Fury. Software is only available for limited time only for home users, and offer will expire on 30th June 2018. To purchase or review more information, please visit www.arcoodapinballarcade.com. A coin operated version with new game list will be released in July. Arcooda is currently working with premium Japanese, US and European software publishers and plans to release a full range of joystick, driving and gun shooting titles and well as new video pinball titles in 2018. Born with a passion for arcade, home gaming will never be the same. Arcooda values its customers and their concerns about being cheated out of coin-operated machine income. This is why we have created an anti-cheater device. Arcooda’s Anti-Cheater Alarm system has been designed to stop and deter thieves armed with EMP Jammers or Slot Jammers from robbing coin-operated gaming machines. “We receive regular calls to our office from customers who believe they are being cheated,” Arcooda CEO Steve Josifovski said. “Many times, the machine has simply just overpaid. “But other times, income is missing from the cashbox resulting in staff mistrust. “With the Arcooda Anti-Cheater Alarm, you eliminate customers using cheater products to receive free credits. We unveiled the Anti-Cheater Alarm in our first video Checkpoint, but have also put together a second video showing you just how easy it is to use. Cheating devices are increasingly being used by thieves to steal from coin-operated machines. These devices send an electronic signal to the pay in module, which is detected as a payment by the machine. This gives the cheater free credit on the machine. When a machine has the Arcooda Anti-Cheater Alarm installed, and it detects an electric signal being sent from the cheater device, a loud alarm is triggered. This will alert staff of the cheater’s presence. The alarm may be mounted on the interior or exterior of the machine. An internal counter keeps track of the number of times a cheater device has been detected – so if a machine is rented to a venue, you can keep track of attempted thefts. The Lost Dragon is Arcooda’s latest fish hunting game, as featured in our new video Checkpoint series. In The Lost Dragon, fish hunters emerge from the seas and battle dragons and birds over vibrant river and mountain scenery. Premium quality graphics in the game make the battlegrounds look realistic. Some notable features of The Lost Dragon include: new exotic characters, new battle locations, custom game features and a great backing soundtrack. Arcooda is offering its members the chance to purchase The Lost Dragon game kits at a special introductory price of $US995. This game kit will plug in and play on any of Arcooda’s video redemption fish machines, including the all new entry level machine we also debuted in the Checkpoint video. Interested in adding The Lost Dragon to your collection? Email Arcooda: sales@arcooda.com or phone +61249 689 313. 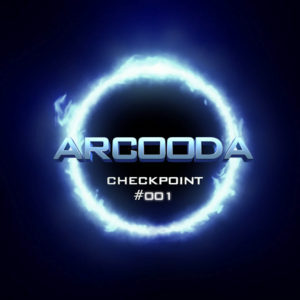 Watch Arcooda’s first Checkpoint video, which features details on our new anti-cheating technology, updates on Arcooda Video Pinball and the launch of a brand new 8 Player Fish Cabinet.